Affluence and extravagance are just within your reach with the help of the Simple Budget Expense Sheet. 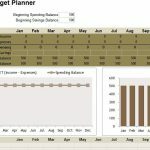 The document is intended for small-large business owners that want a free and comprehensive way to organize their finances on one convenient sheet. That’s right, just one page can help you save a lot of money by illustrating exactly where your money is going and providing you with a way to stick with your set budget at all costs. 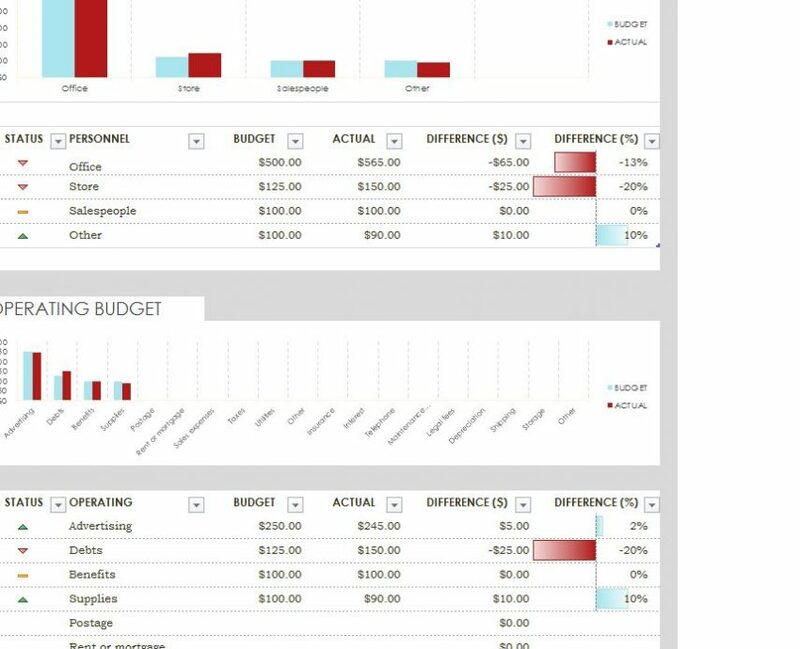 You can even monitor the status of your budget expense with helpful color-coordinated arrows that mark if you are above or below your original estimated budget for each department of your business. If you want to start living the high-life by making your business the premier destination of your marketplace then download the free template now. After downloading the free Expense Sheet file you can instantly begin customizing the document for your business. 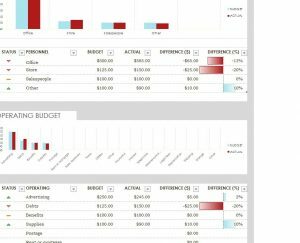 Your Budget Expense Sheet breaks your expenses into two separate sections to make things easier. The first is the personnel table and the second is the operating table. Again, you can change these categories and items to something more common for your specific business. For either table, the structure remains the same. The first thing you need to enter is the name of the item of your budget. Next, you will enter the budget for that exact item on the same row. When you actually go to pay for that item or receive the bill, you will enter the actual costs of that expense in column “E”. The Budget Expense Sheet will essentially take it from here. 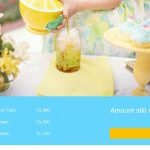 It will calculate the difference from your budget and the actual cost as well as a positive or negative percentage to the far right of the table. If you are below your budget that figure will remain positive and when you’re above budget the figure will display a negative percentage. 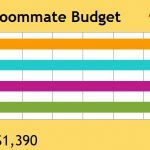 When you have finished going through all the expenses of your budget you will notice a graph at the top of both tables that shows you exactly how well you’re sticking to your budget over time. If you notice you keep going over budget on the same category month after month then you know for certain that something has to change. You can use this free Expense Sheet to ultimately improve the efficiency of your business as a whole and save money.